Saskatchewan One Room School Project provides an online history for current generations to enjoy, preserve, and experience, our historical eduational, architectural, and cultural, heritage. New Finland Church By looking at the combination of New Finland images you can see the area that the New Finland area covered. The sign with all the school districts is located in the church yard, that's why I am sending the picture of the church. Also this church was cut in half in the early days and moved. If you look close at the picture you can see a faint line under a window where it was cut. By Red Lauttamus. 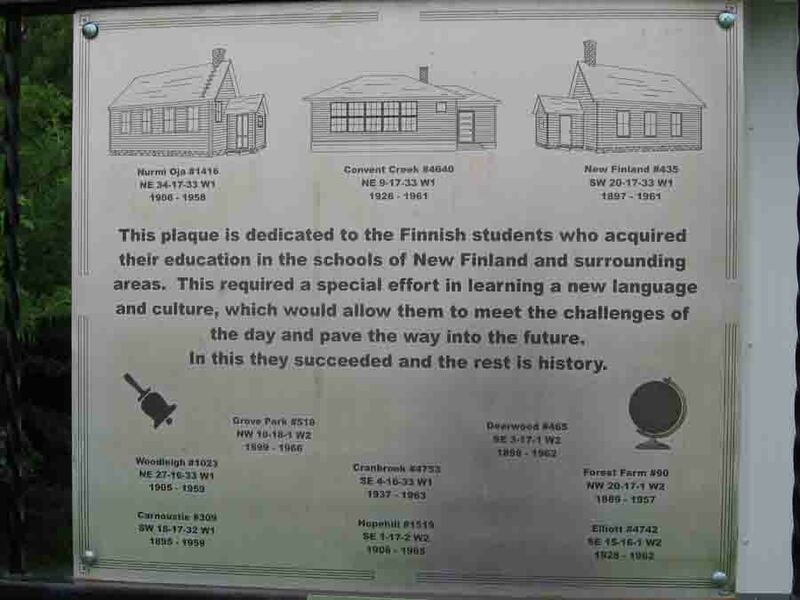 (external link for futher information) Saskatchewan Settlement Experience "The New Finland school, north of Wapella."